For the 17th consecutive year, Teradata has been recognized as A LEADER in Gartner’s Magic Quadrant for Data Management Solutions for Analytics*. At Teradata, we enable companies to rise above the complexity, cost, and inadequacy of today's analytics landscape, finding answers to the toughest challenges and empowering the new era of Pervasive Data Intelligence. 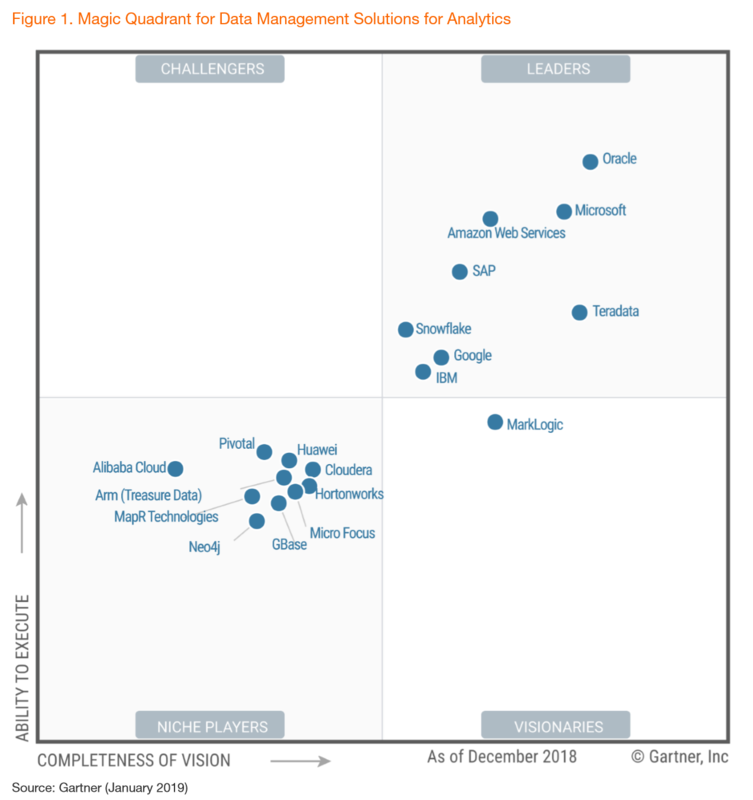 Download this Magic Quadrant to see what Gartner says about Teradata. *Gartner, Magic Quadrant for Data Management Solutions for Analytics, Adam M. Ronthal, Roxane Edjlali, Rick Greenwald, January 2019. Previous titles include Magic Quadrant for Data Warehouse Database Management Systems and Magic Quadrant for Data Warehouse and Data Management Solutions for Analytics.